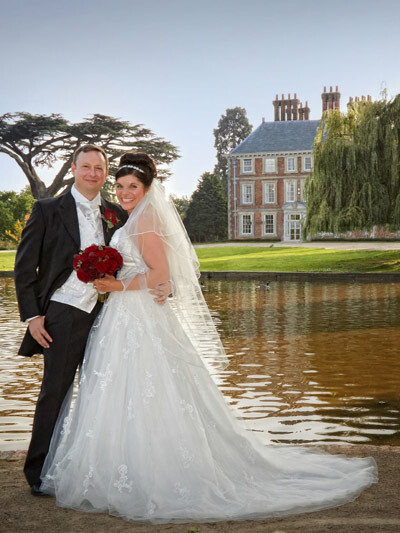 …situated in the breathtaking beauty of the Forty hall Estate, providing an exquisite backdrop for your special day, both as a reception venue and as a Civil ceremony venue. Our beautifully decorated Coach House & Garden room are both licensed for civil ceremonies and can accommodate up to 200 guests. Each room has an abundance of natural daylight, historical features, high ceilings which add a sense of occasion and create an unforgettable environment for your perfect day. We are unable to contact registrars for you – Please contact them directly for availability. The Superintendant Registrar for the London Borough of Enfield can be contacted on: 0208 379 8501. The Coach House here at Forty Hall hold up to 180 guests for your sit down meal or for a less formal approach we can accommodate a buffet for 300. Our in house Executive Chef has created delicious food that is complemented by exceptional wines which you can sample at our menu tasting evenings. Our dedicated coordinators will recommend some of the most experienced suppliers around to help you make the most of your surroundings. After the all important first dance and the cutting of the cake, the evening reception is your opportunity to enjoy time with your friends and family in relaxed surroundings. It will be our pleasure to look after your guests whilst you dance the night away.